KlezCalifornia, founded in 2003, and located in the San Francisco Bay Area, connects people and communities with Yiddish culture. A decade ago, one of our Board members, Robin Braverman, identified a need in our community for opportunities for Jewish youth to learn to understand and appreciate the role of Yiddish culture in Jewish life today. She suggested that our organization take up an initiative focusing on Jewish youth in religious schools and day schools. She envisioned regular presentations to children up to bar/bat mitzvah age and high school students, and also eventually also to Jews by choice, who might have missed learning about this important Jewish culture during the process of becoming Jews, which focuses (almost exclusively?) on the Jewish religion. While the program was proposed in 2007, we were not able to seriously pursue it until six years later. Since that time, KlezCalifornia has worked to develop lesson plans that can be used in a variety of settings, and has brought trained instructors into educational environments to present the content (and to test and refine the lessons). We have also been identifying and coaching presenters outside of our own local community, including educators from San Diego, Syracuse, Pittsburgh, and Victoria. We aim to continue this work of identifying independent Jewish educators to present our material in their own regions. In the newest phase of our initiative, we are expanding our model beyond independent presenters, empowering teachers already educating students to use our knowledge and our prepared materials to teach their own students. KlezCalifornia has published twenty-six lesson plans for K-12 classes at religious schools and Jewish day schools. These lesson plans are available for free downloading by teachers, principals, parents, and students at klezcalifornia.org/tam. We hope that educators in other parts of the country and world will use these materials. The goal of Tam – Tastes of Yiddish Culture for Kids & Teens is to enrich Jewish education with Yiddish culture. We want to ensure that Yiddish culture is included in the curriculum of Jewish day schools, religious schools, and camps. We see Yiddish culture as a vibrant and integral part of North American Jewish life and believe that it is essential that young people in grades K-12 become excited about it. KlezCalifornia developed and tested these 45- to 75-minute lessons over the past four years through eighty presentations (thirty-three in 2016-2017) to students in twenty-five schools of all Jewish denominations as well as independent, unaffiliated schools. Each lesson is designed to be participatory and fun and indicates appropriate grades. Lesson plans cover the history of Yiddish language and culture, klezmer music, Yiddish culture in North American Jewish life, learning Jewish values through Yiddish stories and songs, historic Jewish debates over what languages to speak, and the role of Yiddish-speaking unions in creation of the two-day weekend. Most North American Jewish students have East European ancestry, so this curriculum also exposes them to their family history. Various lessons are suitable for curricula in Jewish history, literature, arts, social studies, and music. Advisors have suggested additional lesson plans (such as khasidik nigunim and yuntif songs), which we may someday develop. For now, we are focused on promoting and disseminating these twenty-six lesson plans. Between 2003 and 2016, KlezCalifornia put on fourteen Yiddish Culture Festivals, each including one or two sessions for kids or families. Although of high quality, and led by teachers with strong reputations, we never attracted more than a dozen kids and sometimes just a handful. Our model of bringing presenters to schools reaches far more students and families. 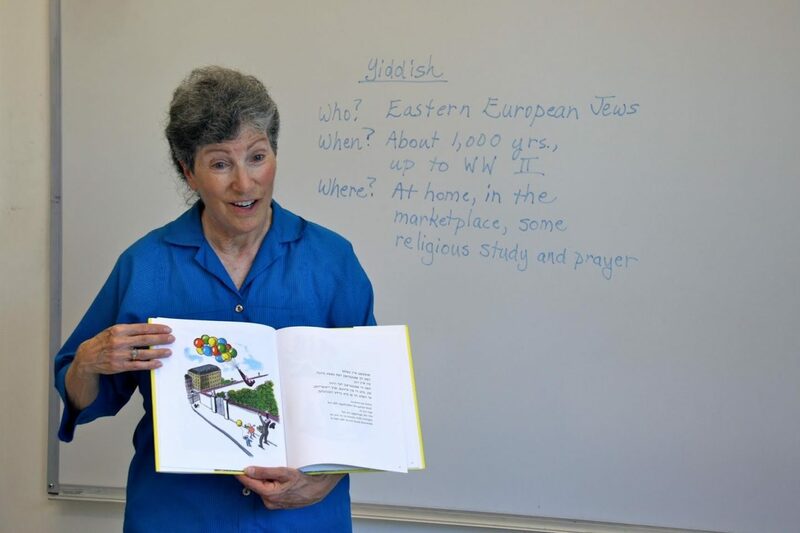 Although Yiddish culture is foundational to North American Jewish culture, many educators are confused by the term “Yiddish culture” and can’t imagine what it encompasses beyond Yiddish language. We learned that we can’t simply pitch our lessons as being about “Yiddish culture.” Instead, we show classroom teachers brief descriptions of each of the twenty-six lesson plans (or at least the ones appropriate for the grade level of their class) to show what we mean by Yiddish culture. Before contacting a school, check the group’s website to review their curriculum and think about how Yiddish culture might fit into what they are already teaching. Keep in mind their values, priorities, and curriculum as you make the first contact. This shows that you have taken time to learn about their school and that you respect and value the work they do. We had expected that day schools would be more open to inviting us because they have more time with students, but that has not been the case. We have been told this is because day schools—particularly high schools—have an enormously crammed curriculum. We have had more success approaching supplemental schools (i.e. religious schools, a.k.a. “Hebrew schools”) because their curriculum tends to be more flexible. Jewish educators are overwhelmed with work. Sometimes, after we’ve reached them the first time, they don’t continue the exchange, but on the second or third try (or even later) they express pleasure that we haven’t given up on them. We keep trying, through emails and phone calls, maybe even personal visits. The biggest expense of the Tam program is for our outreach coordinator, Tamar Zaken, who puts in more time than do the five presenters all together. We hope that eventually schools will reach out to us and the need for our outreach will be reduced. We were unsuccessful in fundraising for the program when it was called Yiddish Culture Curriculum Project (2007-2011). The name Yiddish Culture Experiential Learning Pilot Project (2012-2013) was better and secured our first foundation grant in 2013. In 2014, we changed the program’s name to Tam: Tastes of Yiddish Culture for Kids (eventually adding “& Teens”) and became more successful in securing foundation support. One of our first ideas was to teach the seder’s Fir Kashes. The first problem was that the melody today’s young Jews know for the Four Questions (in Hebrew) is not the older gemoreh nign used for the Fir Kashes. The religious school where we first tested our lesson taught the “new” melody to fourth and fifth graders. Then, a week later, our presenter went there to teach the Fir Kashes. In mid-class, a boy began laughing hysterically, followed by all the others. The music teacher later pointed out to the presenter that one of the words in the fourth kashe is “zitsndik,” and that the student was laughing because the word sounded vulgar to him. This mishap (and the problem with having a different melody) convinced us to drop the idea of this lesson plan. Clearly we cannot convey the richness of Yiddish culture or one millionth of one percent of its content in a one-hour presentation. However, we can try to spark an emotional connection with Yiddish culture, so when Jewish young people are older they may be inspired to learn and do more. Emotional connections are most easily created with music. 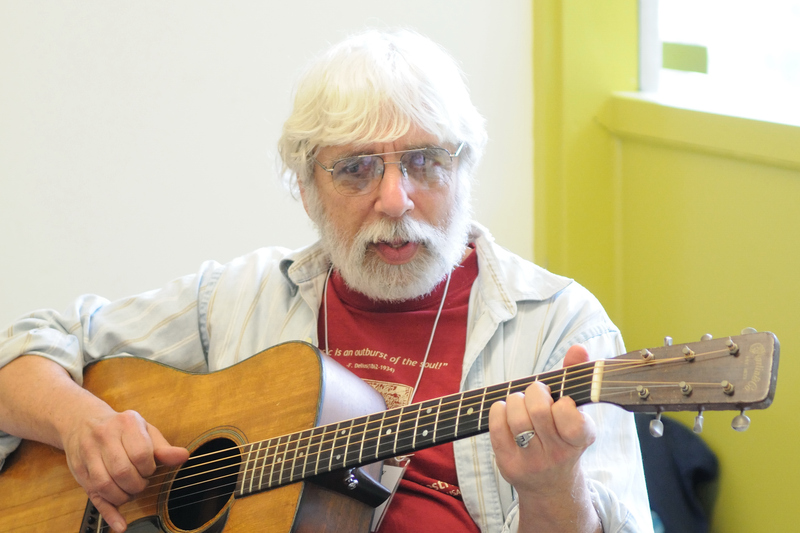 Many young adults approach one of our presenters, Gerry Tenney, at community events to say that they have never forgotten his presentation to their childhood class when he sang “that song about potatoes.” The song “Bulbes,” that is. For this reason, all our lesson plans for younger kids include a song or two. Your lessons should as well. Although we thought briefly about offering our presenters as substitute teachers, we decided against that idea. It is very difficult to be a substitute teacher because students know that you will not be around to implement accountability for any bad behavior. The lesson you present as a substitute might not be connected to the class’ curriculum and even if it is, there’s no way for the (absent) teacher to build on what you taught. Finally, there’s no way for the head of school to know that you’ve presented something of value and should be invited back. We require that the classroom teacher be present while we share our material with his/her class. Our five presenters come from a variety of backgrounds. Some are fluent Yiddish speakers while others know only a few phrases. They must, though, have knowledge of some aspect of Yiddish culture (language or literature or Yiddish song or klezmer music) and be enthusiastic about it. An absolute requirement is that they have experience working with kids or teens. Their enthusiasm for presenting about Yiddish culture, together with their expertise as educators, is what makes their presentations a success. Many of the twenty-six lesson plans can be presented by anyone with skills as a Jewish educator, even without much substantive knowledge of Yiddish culture. 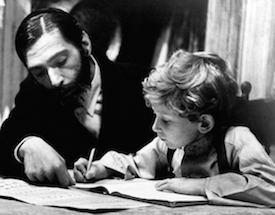 Lessons that include singing Yiddish songs or teaching about klezmer are best presented by someone who can sing the songs or play klezmer modes and tunes, but our lesson plans link to online videos so a presenter without those skills can still use them. After the first, free lesson (one per school), we ask schools to pay us roughly what they pay their own teachers. In the San Francisco Bay Area, we charge $90/lesson ($75/lesson if two or more in a row). We recommend to those presenting our material that they not be shy about asking schools for payment, since presenting the material requires time and effort. Schools should be willing to pay special presenters who offer something new and different. We hope you will try our lesson plans and let us know what you think. You may send feedback to [email protected]. Kunofsky, Judy. “Tam – Tastes of Yiddish Culture for Kids & Teens.” In geveb, October 2017: https://ingeveb.org/pedagogy/tam-tastes-of-yiddish-culture-for-kids-teens. Kunofsky, Judy. “Tam – Tastes of Yiddish Culture for Kids & Teens.” In geveb (October 2017): Accessed Apr 21, 2019. 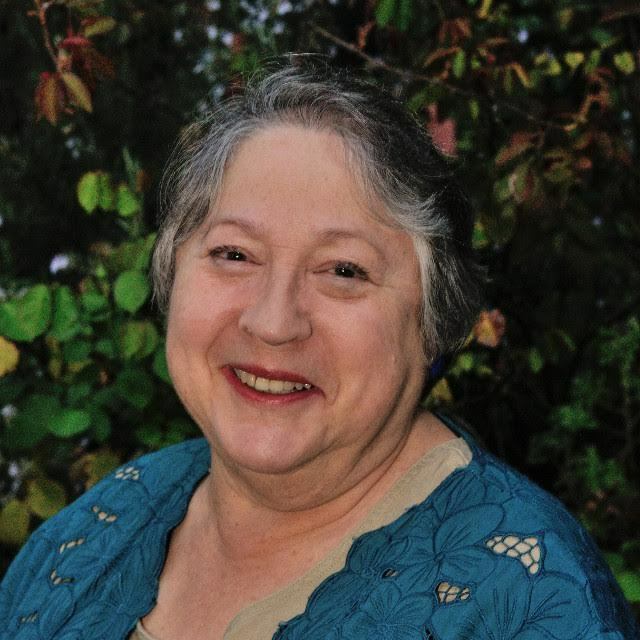 Judy Kunofsky is Executive Director of KlezCalifornia. A discussion of how Feygi Zylberman, a middle school History and Jewish Studies teacher at a Progressive Jewish community day school in Melbourne, Australia, employs Yiddish in her classroom, with a worksheet to use alongside the divorce scene in the film Hester Street (1975). Erin Faigin discusses the role of Yiddish language instruction in the curriculum of the Sholem Community, a supplemental secular Jewish school in Marina Del Ray, California.